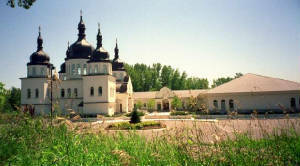 Ukrainian Orthodox Church of the USA - Bishop Daniel Visits St. Katherine parish in Arden Hills, MN! 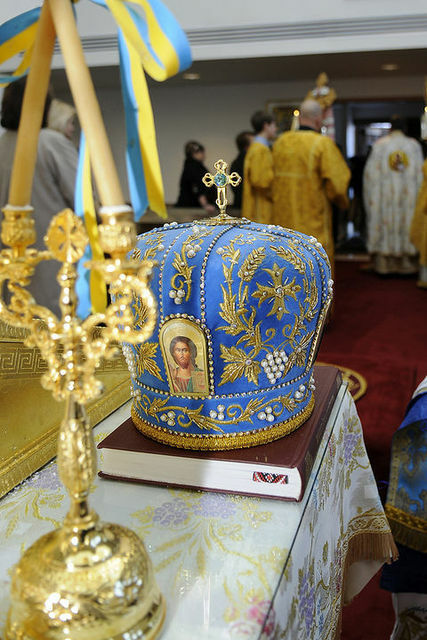 For many weeks parishioners of St. Katherine Ukrainian Orthodox Church in Arden Hills (St. Paul), Minnesota, have been looking forward to His Grace Bishop Daniel’s visit of the parish for St. Katherine Feast Day Celebrations. Unlike last year, when Minnesotans were hit by a real blizzard during the Feast Day celebrations when the visiting clergy was having trouble driving in the area, this year the weather was quite pleasant, although it was a rather cold day with a thin sheet of snow that fell during the night, which actually enhanced the autumn’s mostly gray scenery. Finally the long awaited weekend arrived – Vladyka Daniel and Subdeacon Vasyl Pasakas of St. Sophia Ukrainian Orthodox Theological Seminary arrived from Chicago and directly from the airport they arrived to meet with the parish board of administration council social. An interesting pot-luck supper was prepared by various parishioners and enjoyed by all in an informal atmosphere. After supper, thought-provoking conversations ensued between His Grace Bishop Daniel and active members of the Church. Vladyka Daniel started the meeting by telling the people a very interesting history of his life and how and why he decided to become a Ukrainian Orthodox theologian. A lively discussion between His Grace Bishop Daniel and parishioners followed, the main subject being the daily life of parishes of the Church and the blessings and difficulties encountered by Ukrainian Orthodox Church in the United States. On Saturday evening, December 5, at 6:00 p.m., a Vespers Service was celebrated at the Church. The Vespers service was started by Fr. 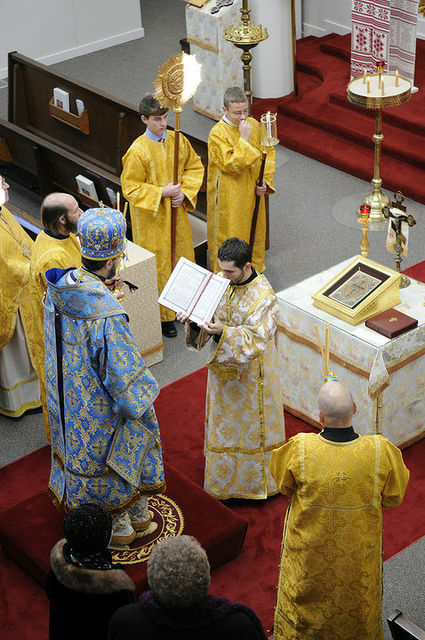 Peter Siwko and later, in accordance with the church protocol, His Grace Bishop Daniel and Subdeacon Vasyl Pasakas, joined in and concelebrated at this Service. It was an inspiring, harmonious service, with melodious responses sang by our Church Choir (conductor Oleksiy Khrystych). An informal Social Hour followed, with simple food, such as lox sandwiches and pizza was prepared by the Sisterhood and enjoyed by all who wished to stay and meet Vladyka Daniel. More conversations have taken place, where everyone had a chance to talk to His Grace Bishop Daniel informally. On Sunday morning, December 6, the official greetings of Vladyka Daniel started at 9:30 in the morning. Bishop Daniel, the ruling hierarch of the Western Eparchy, was greeted by Sophia Pechenuk and Eva Marie McDonough, from our Sunday school, who presented Vladyka with a beautiful bouquet of roses. The Bishop thanked Sophia and Eva Marie and immediately took out several stems of roses from the bouquet and distributed them to the children who were standing around – needless to say they were delighted by such attention. The President of the Parish Council, Sviatoslav Mirza, then greeted the Bishop from the parishioners with the traditional “bread-and-salt”. Sharon Medjanyk, also greeted the Bishop from the Sisterhood, presenting him with a bouquet of sunflowers and roses. Solemn Hierarchal Liturgy followed. The Church was filled to capacity. Concelebrating with His Grace Bishop Daniel were our pastor Fr. Peter Siwko and Fr. 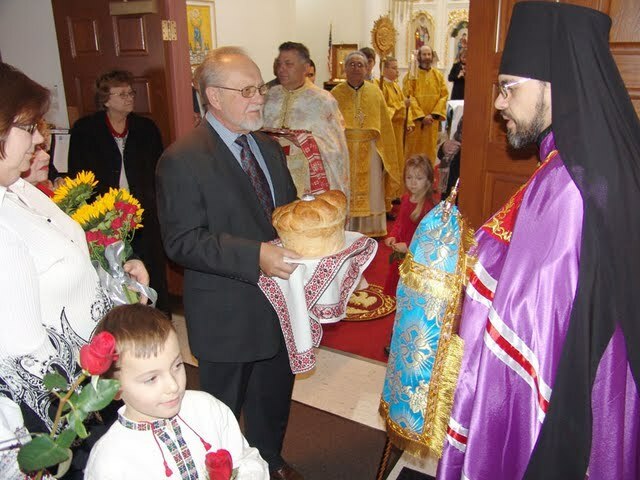 Evhen Kumka, pastor of St. Michael’s and St. George’s Ukrainian Orthodox Church in Minneapolis; assisting were Subdeacon Vasyl Pasakas, our Church’s Subdeacon Victor Hushcha and Subdeacon Mark from the local Orthodox parish, as well as several altar boys from our Church and from St. Michael’s and St. George’s Church. Everything was very festive! 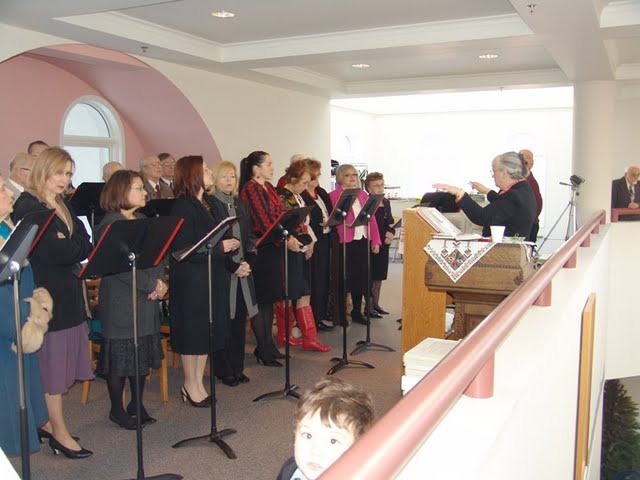 The Church Choir, which was joined by several superb singers from St. Michael’s and St. George’s church choir, now under the conductorship of our Church Choir Conductor Halyna Myroniuk, aptly sang responses to Bishop Daniel’s, Fr. Peter Siwko’s, and Fr. 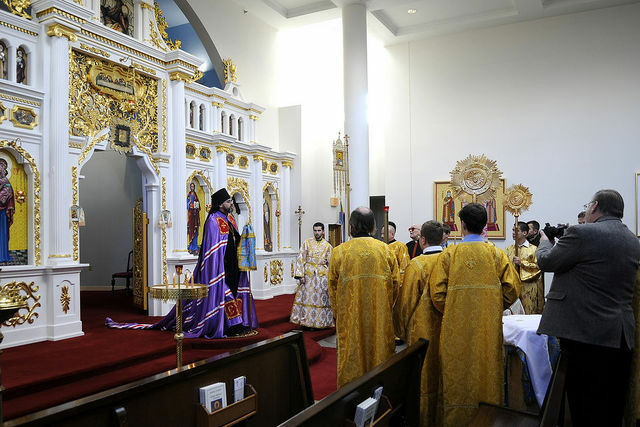 Evhen Kumka’s prayers during the Divine Liturgy. Very interesting to observe was the vesting of His Grace Bishop Daniel. 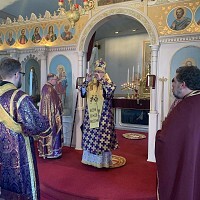 As the bishop entered the Church, he was wearing a grand purple Mantia with red stripes and very long train, which was ever so ably carried by Subdeacon Vasyl Pasakas, who, when he felt the need for assistance, quickly showed how this has to be done and delegated this duty to our altar boy Nicholas Siwko. 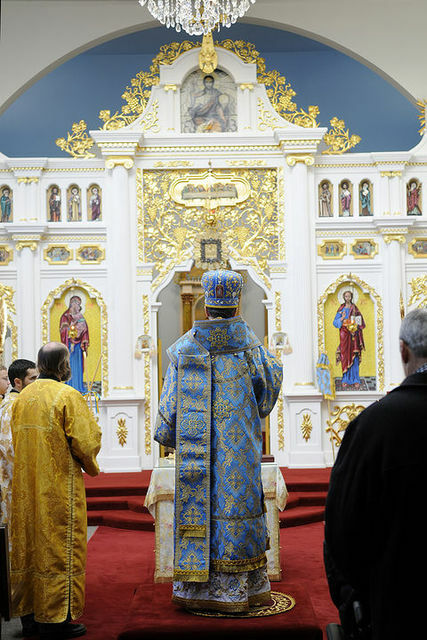 Prior to the beginning of the Divine Liturgy His Grace Bishop Daniel ceremoniously changed into a wonderful the color of clear blue summer sky embroidered in gold bishop’s vestments. 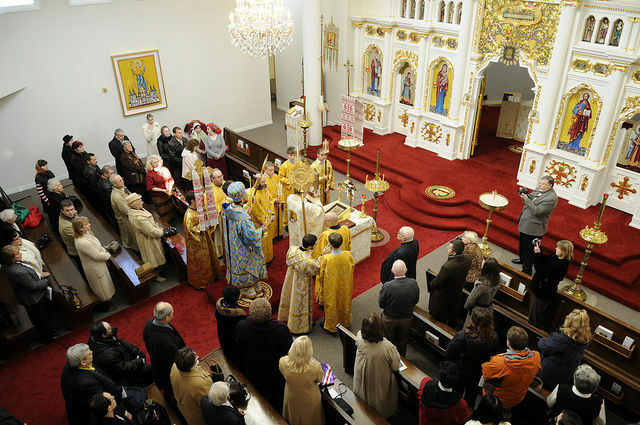 All services were conducted interchangeably in both English and Ukrainian languages at the same time, which made the service understandable to all present. Readers of the Bible were Roman Korsun (Ukrainian) and Victor Hushcha (English). 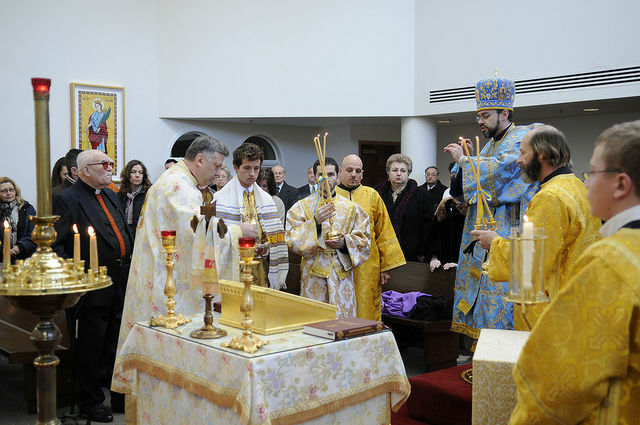 Many times during the Divine Liturgy Vladyka Daniel blessed the congregation with the hierarchal Dikiri and Trikiri candles. In his very moving sermon Vladyka Daniel gave many examples and advice for creating a pleasant and inviting atmosphere in our churches which would attract guest visitors of our churches who might possibly be looking for a new place of worship and possibly join our church. 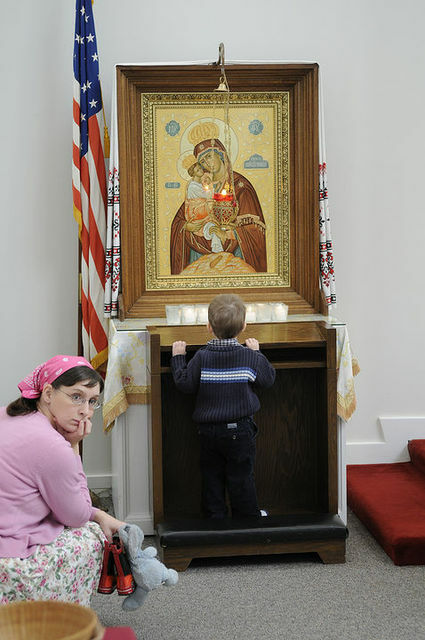 Vladyka Daniel emphasized that because our Ukrainian Orthodox Church is in the middle of two cultures – the Ukrainian and the American - it is very important in order to preserve our Orthodox Church to adjust our services and celebrations to both cultures and languages. St. Katherine Church’s pastor Fr. 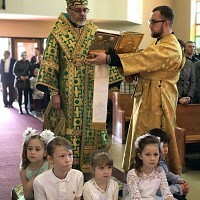 Peter Siwko, understanding this situation, for already several years has been celebrating Sunday Divine Liturgies in both languages, alternating the language every other Sunday. In his sermon Vladyka Daniel also stressed that inner peace and spiritual happiness is more important than the accumulation of worldly possessions. 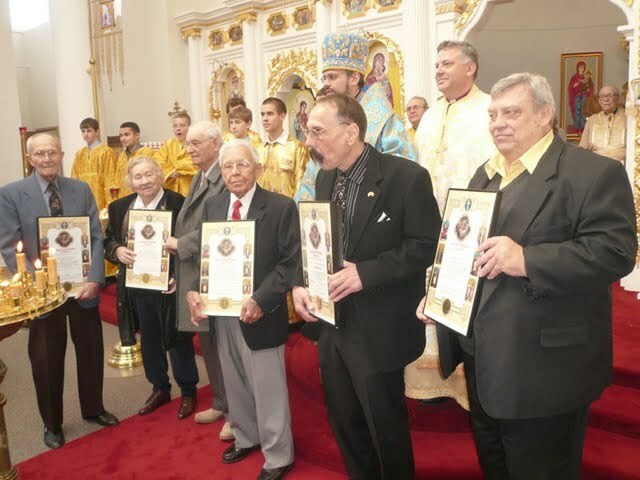 After the end of the Divine Liturgy, Bishop Daniel presented Blessed Certificates to several parishioners for their outstanding, dedicated hard work of many years of service for the church. The following people were honored with such certificates: Anatol Niepritzky, Louis Kropelnicki, Philip Shayda, Ivan Hupalo, Tatiana and Ivan Ilievsky, Oksana Bryn and Neonila Paczkowski. A commemorative photo of all clergy and altar servers who were present on this day at the church was taken. Everyone was invited to the Parish Hall for a Feast Day Luncheon. As the price of the luncheon was on the “donation” basis, all people were able to enjoy the lunch, the program as well as socializing with each other. When the people were seated at the tables covered white tablecloths and attractively set, Luba Lewytzkyj, our Church’s Cultural Liaison, officially opened the program. After the “Our Father…” prayer, the people in charge of serving the luncheon, invited everyone to come up and get their food, calling them out a couple of the tables at a time - this worked very well. At the Serving Table were Nina Chorewycz, Tamara Kosin, Alla Khrystych and the entire Maczka family (Natalie, Michael, Bohdanna, Richard) and Boris Galenko with Alex Chorewycz, Jr. It needs to be mentioned here that there were also many other younger people helping at kitchen or serving table at one time or another. Subdeacon Vasyl Pasakas stepped to the microphone and related to the audience his story, thanking all of us, for the opportunity that he and several other students of the St. Sophia Seminary had, expressing his gratitude for the financial assistance which they received through the Rev. 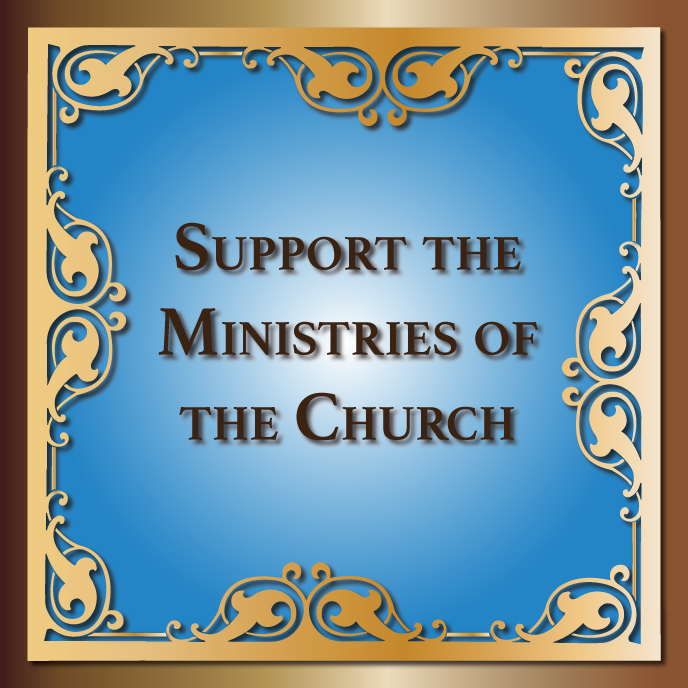 Dr. Wolodymyr Lewytzkyj and Panimatka Halyna Seminarian Fund, now administered by Luba Lewytzkyj, which enabled them to continue their studies in Ukraine and come to the United States to continue their education here. 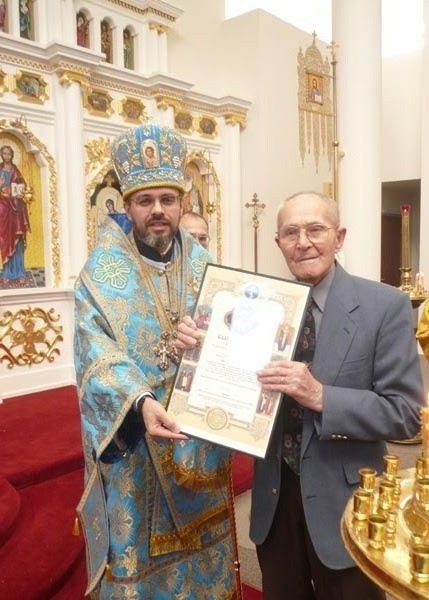 He is very happy with his work such as accompanying Vladyka Daniel and assisting him during his trips to numerous parishes, as Bishop Daniel is now the leading hierarch of the Western Eparchy of the UOC of the USA. Our favorite female trio singers “Ukrainochky” (Stephanie and Christina Korsunsky and Daria Kushnir) enchanted the audience with their singing of several charming Ukrainian songs. Bishop Daniel then talked to parishioners and guests congratulating St. Katherine Parish with their Feast Day. His main theme, though, was his trip in summer of 2008-2009 to the orphanages in Ukraine at Znamyanka, Kirovohrad oblast, and Zaluchia, Zhytomyr oblast in Ukraine. Both of these homes care for children with severe and permanent mental and physical disabilities, many of which are attributed to the Chornobyl nuclear accident, which took place more than 20 years ago. A slide show of this trip was projected on the wall. Bishop Daniel and his group of young Ukrainians traveled to these orphanages for several years in a row now. The children remember them and are anxiously waiting for them to return again and again. The President of our Parish Council, Sviatoslav Mirza, presented to Bishop Daniel a check in the amount of $1,000 for humanitarian work at these orphanages. Vladyka Daniel expressed his heartfelt thanks. Valentina Yarr, President of St. Michael’s and St. George’s Parish in Minneapolis, greeted parishioners of St. Katherine Church on their Feast Day and wished them success for many years in the future. A commemorative photo of parishioners and guests with Vladyka Daniel was taken on the Parish Hall stage. Final prayers sang by the Church Choir with everyone pitching in concluded these wonderful celebrations of the St. Katherine Parish’s Feast Day. Many thanks to Nina Chorewycz, her husband Boris Galenko, other members of the Sisterhood and everyone else who assisted in preparations for this Feast Day, organizing the luncheon and cleaning up after the event. The biggest thanks though go to His Grace Bishop Daniel and our seminarian Subdeacon Vasyl Pasakas who honored the parish on the Church’s St. Katherine Feast Day and making this day into a pleasant and festive event to be remembered for many years to come.